We want to encourage you to switch to a supplier of all renewable energy as an easy way to reduce your carbon footprint and support the building of new renewable energy sources. Here we offer the opportunity to leave the big six energy companies and become part of the network of people who are supporting renewable green energy from either Ecotricity or Good Energy. These companies not only provide energy from sustainable sources but actively invest in new developments for sustainable energy. They also only have one tariff which remains constant so you won’t have to get a new deal every year. These companies will reward MESS for this promotion at the end of each quarter and MESS will share that reward with you. Here is the boring but important bit: To make the change you will need your bank details to hand and your latest energy bills. You can change either electricity or gas or both services. Your cash reward will be dependent on what you change. The offer is open to UK residents, aged 18 and over who apply for electricity and/or gas under the MESS offer and the supply goes live. The offer is not available to those already supplied by Ecotricity or Good Energy, those already awaiting connection, to applicants who cancel their application or if it is not possible to make the connection. The offer may vary or be withdrawn at any time without prior notice. To receive your cash reward you will need to show MESS your acknowledgement and your first bill from the new company confirming the change has gone through. You will need to claim your reward from MESS within 6 months of switching. To switch now, select the company you prefer by clicking on their link below and follow their instructions. You must use one of these links to qualify for the cash reward. Currently we are offering you £25 if you switch both gas and electricity and £15 if you switch just one. 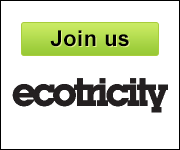 Ecotricity are for a limited period also offering you a free LED bulb! Welcome to the green revolution!